We at Buyone Web Design Sri Lanka Develope what you need and you want. Buyone Web Design Sri Lanka helps every brand something special and unique to offer. To be able to creatively perceive, package and present this uniqueness to its precise target audience is the essence of a successful online brand strategy. 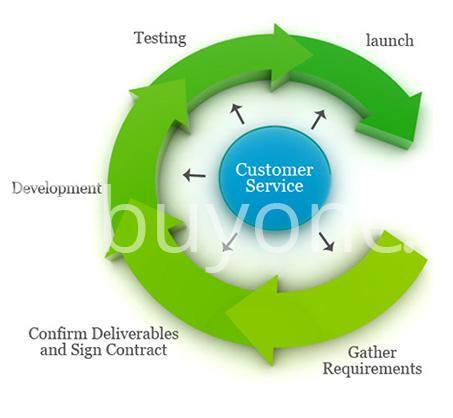 Our team at Buyone Web Design Sri Lanka Developers have built and delivered solutions for many successful businesses. We are well experienced with tools like Adobe DreamWeaver, Adobe Flash, Adobe PhotoShop, CorelDraw & other HTML, animation and image editors. All websites we design and develop are hand coded, W3C compliant and SEO friendly. A responsive web design adjusts according to the different screen size of your website visitor. That means whether they are on a mobile phone, tablet or desktop computer, your website will maintain a look that is clean, simple, amazing and user-friendly. While the cost and seeming efficiency of a pre-made template site may appeal to some, most of them have been so over used that any site developed using one will fade into mediocrity. Custom web design is not only a way for you to put your best foot forward on the Internet, but it gives you the freedom of having your site tailored to your businesses specific needs. Our team at Buyone Web Design Sri Lanka work together from the very beginning of a project, to ensure you receive the best product possible. As a boutique web design firm, we pride ourselves in having all of our client’s sites designed and hand-coded to custom specifications by our in-house development team following best practices with the implementation of web standards as specified by the Internets governing body. This keeps all of our designs flowing and unadulterated by development leaving our clients with not only aesthetically appealing sites, but functionally sound sites as well. If you wish to get your website designed by Buyone Web Design Sri Lanka, please request a quote and we will get back to you within 2 working days.